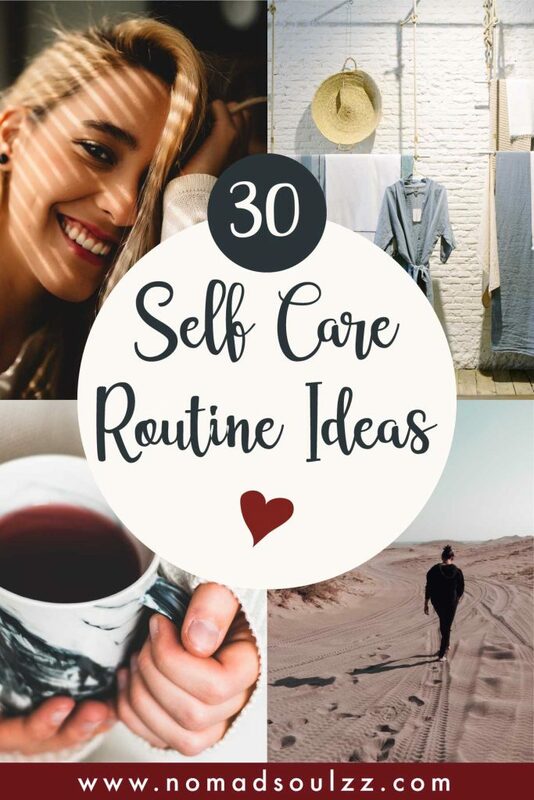 Here at Nomadsoulzz, we love all things self-care, its an incredible journey to self-love, self-growth, and exploration of all the layers life has to offer. 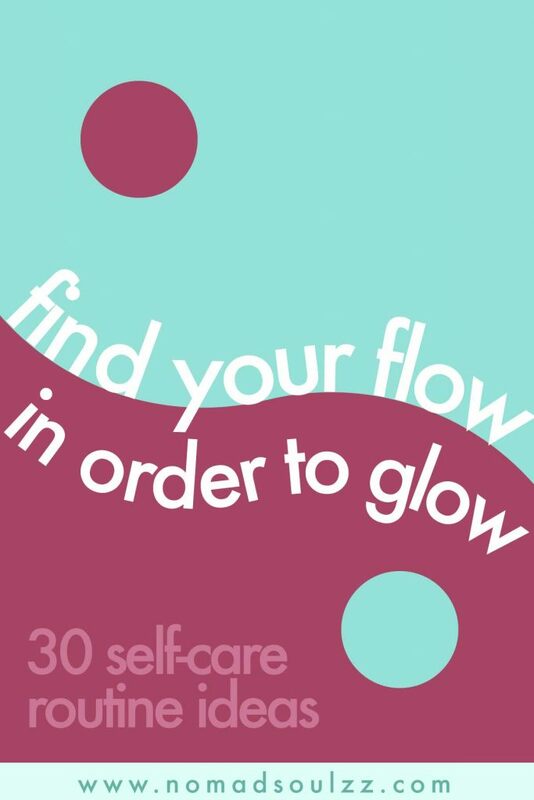 However, we also know that at times it can be pretty tough to keep up with self-care when life is throwing you around. But its at times like that, when a self-care Sunday should be scheduled immediately! You owe yourself the love and care that you so freely give to others! 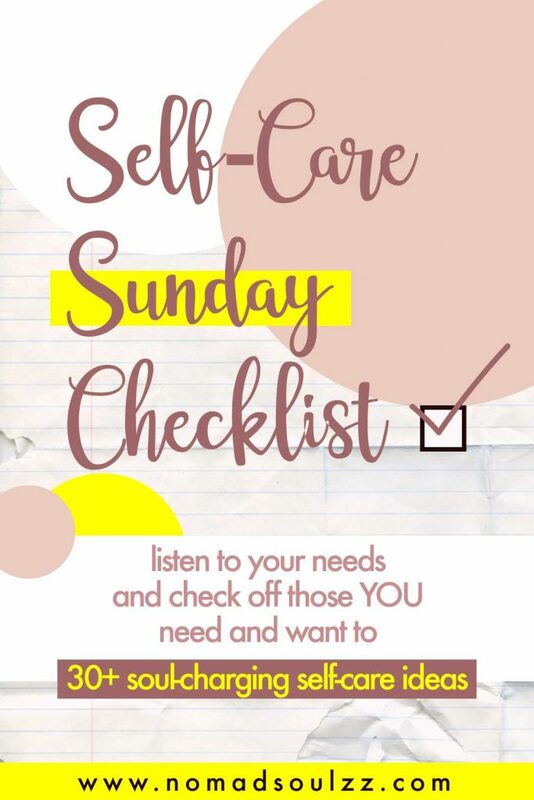 So firstly, this self-care routine is not Sunday exclusive lol. 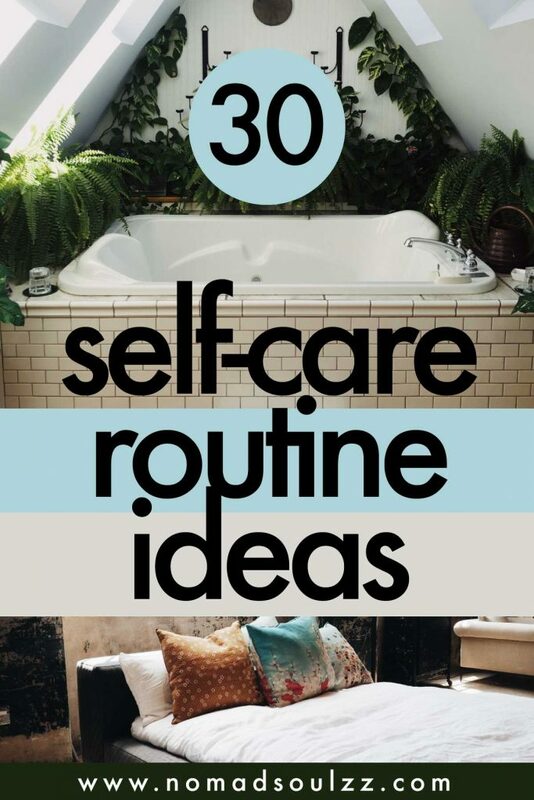 I guess it’s just the phrase Self-Care Sunday that’s so catchy that we named it like this. You do your self-care-routine Monday, Thursday or whenever your heart desires. 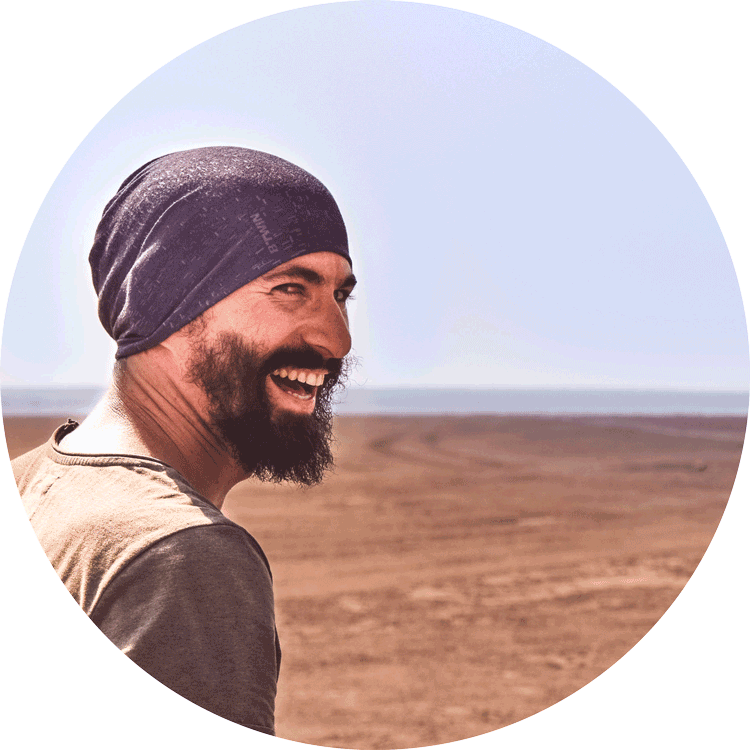 Also, we’ve noticed that living the digital nomad life a.k.a. being a self-employed entrepreneur an off-day is an off-day when you choose it to be. So basically Sunday-Funday is whenever you allow your schedule to be so. That being said, what does one find in a self-care Sunday routine? In our opinion, it should be packed with opportunities and small gestures and actions of loving-kindness towards all aspects of your personal life. Towards your body, towards your mental body, towards your intellect, towards your spiritual self, towards your emotions, towards your loved ones in a practical and caring way. 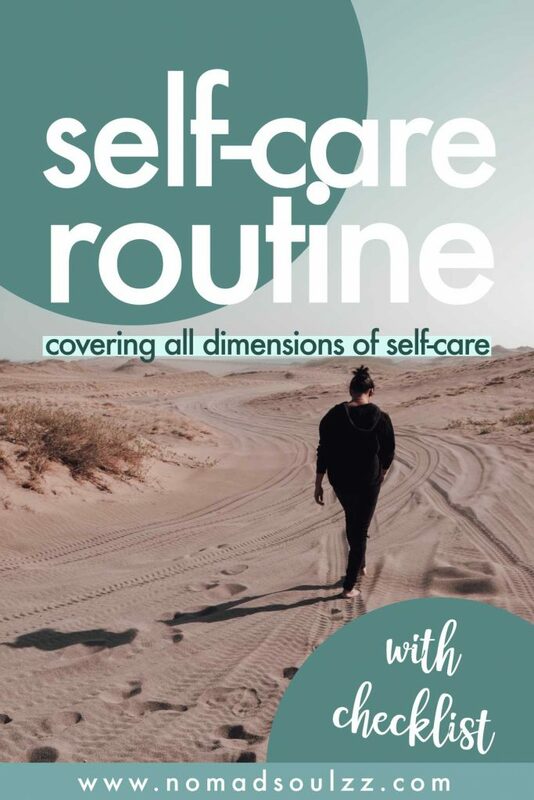 If your new to Nomadsoulzz you’d might want to read our post on the seven dimensions of Self-Care, we’ll go into the subject here briefly as all dimensions will find their own spot within this routine. However, if you’d like some more info and in-depth clarity go check it out. Routines are for everyone. For the organized, bullet-journaling, on-top-of-her-schedule kind of person just as much for the free-spirited, get-lost, and living-in-moment-person. How you incorporate a routine into your life is for each individual different. But the ‘why’ should be the same. Routine is there to comprehend the chaos and to allow our mental being to take a couple of breaths. Having a routine means you know what to expect, you know what you’ll be doing and why you’ll be doing it. 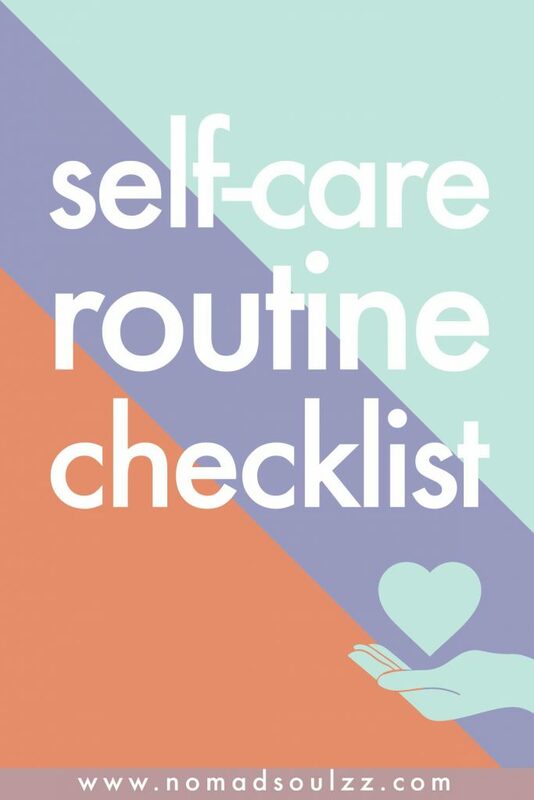 Routines like this self-care Sunday is a very beneficial one because it helps you create positive habits. Habits you’ll be grateful for having, at any stage of life. You will notice that doing a routine like this will bring you direct wins and will make you feel more comfortable, at ease, happy and energized. 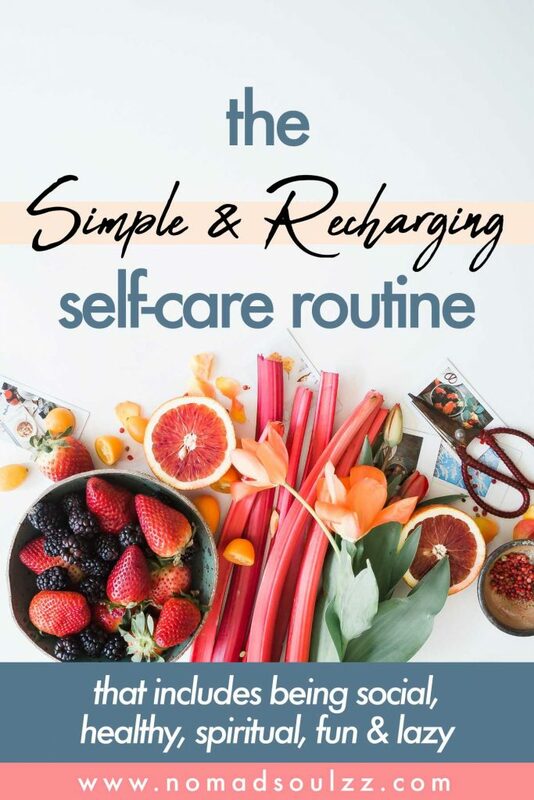 Just imagine the benefits of being consistent and allowing yourself to commit to a self-care routine regularly. Generally speaking, routines like this one (not the pre-drinking-clubbing-night-routine) have positive effects such as less stress, better sleep, better overall health (both mental as physical), more energy and so forth. 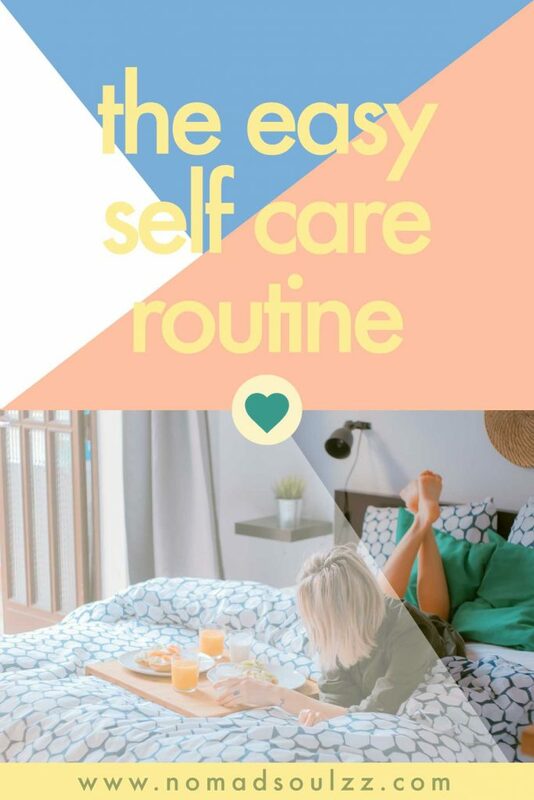 The motto of this Self-Care Routine is Make it Personal and like my favorite online-yoga teacher Adriene always says make sure to Do what feels good. The routine should be packed with things that make your body, mind and soul smile. This routine is for you and no-one else. 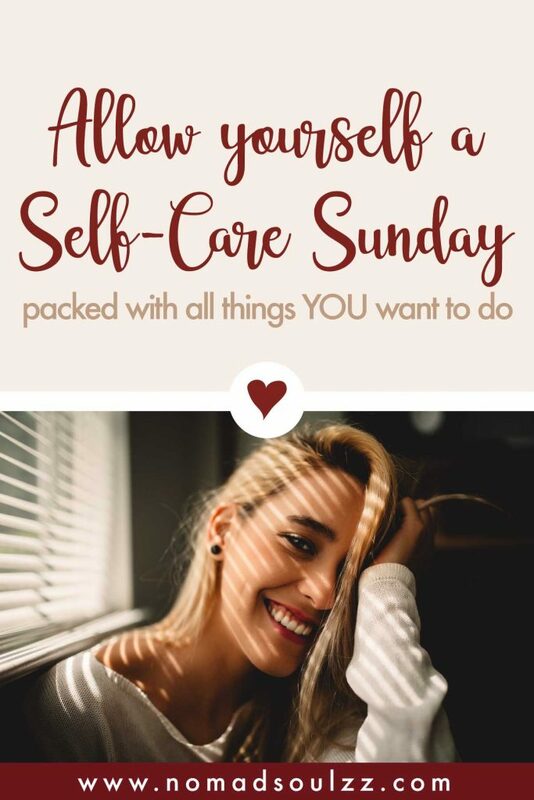 You came to this post see an example of a Self-Care Sunday Routine and that’s exactly what you’re going to get. But we want to give you that little extra. So we’re not just going to list down 3 possible things you could do. We’re going to list down 30 things you could possibly do. Approach it as a candy shop. You would not eat all the candies at once, would you? No, you’d choose a just couple and leave the rest for later. Do the same here. Check off the ones you think will be of best benefit for you this time. And the next Self-Care Sunday you choose differently. Make it personal. Oh and we chose for easy and gentle approach. You should to! Drink a big glass of water or lemon water. After a night’s rest, the body tends to be slightly dehydrated. By just drinking a big glass of water first thing in the morning you doing yourself a wonderful act of self-care. It flushes out build-up toxins, increases your metabolism throughout the day, boosts energy levels and decreases the chance of headaches developing early in the morning. I.e. write down your dreams or if your night was a bit restless you can journal about what happened and how it made you feel. A cleaned up room is a cleaned up mind. And the bed in the bedroom is like 60/70% of your room right? So that’s a good start! Outer order, bringing inner peace. Nowadays I don’t really think twice about this, but I have to admit that just walking into a tidy bedroom after a shower brings me such inner-calmth and satisfaction, it’s wonderful and so simple! Even more simple than tiding up your bed. Opening the curtains. Letting the morning light kiss your face. Allowing yourself to wake up to natures light. Take a deep breath, smile and voila. A good intention is set for the day to come. Have a conversation with yourself. Wish yourself an honest and meant good morning. Look at yourself in the mirror and whilst you’re at it practice some positive affirmations. Have a long, loving, steaming shower. When going all out I aim to clean, scrub and massage every inch of my body. 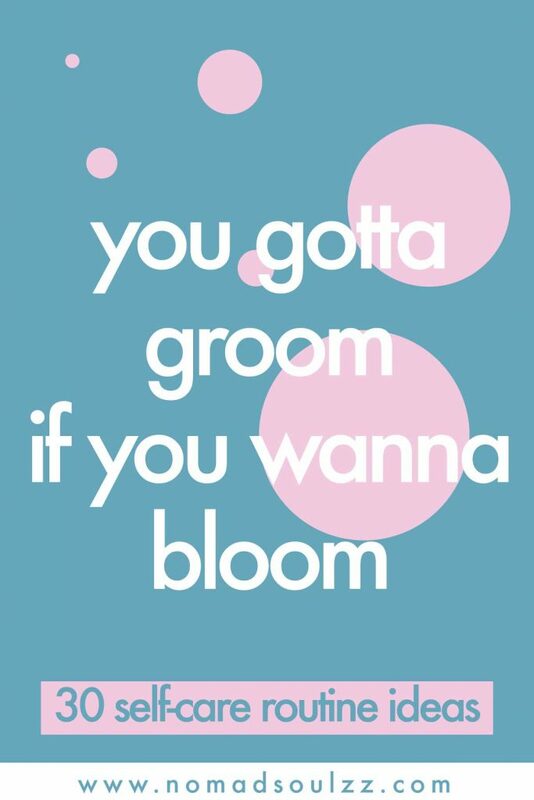 Wash my hair, shave, scrub, exfoliate… the whole shi-bim-bam. And for more loving goodness I diffuse some essential oils while at it. Yum-yum-yum. This is like the upgrade bonus to the long and steaming shower. As much as I wish I would do this every day, I don’t, so that why it’s part of this self-care Sunday routine. It doesn’t have to be some expensive creme, I just use organic olive oil to moisturize my whole body and my skin is glowing like never before! This has become one of my latest favorites. It’s so relaxing for the mind just to sit and listen. To really listen, you can’t allow yourself to be distracted which is surprisingly enough more calming then I thought it would be. My current favorite podcast is Happier by Gretchen Ruben. Read a chapter of a meaningful book. If you don’t feel like listening or you’re just in need of some peace and quiet. Read a chapter of the book you’re currently busy with, or start a new one, or re-read of your fav’s. Spike that intellect! Take a morning stroll with your friends, partner or dog. This one is mainly focused on getting some physical movement, connecting with nature and the now (regardless of the weather). And of course, having some social interaction with someone dear to you. Besides meditation being great for ones spiritual development it brings along many other welcomed benefits such as reduced stress, lets you have more control over your anxiety, enhances self-awareness, lengthens your attention span etc. Ohm-azing! Do a couple of morning stretches. Another great way to get the blood flowing and to connect with the body is to do some stretches. It doesn’t mean you have to do a full blast yoga class (feel free to though) but just enough to awaken your body and muscles. Setting intentions allows you to focus on who you are in the moment, to recognize and live your values. Intentions give you purpose, as well as the inspiration and motivation to achieve your purpose. A fun way of reminding yourself of your intention can be through post-it’s spread out throughout your house. Write down 3 things you want to get done that day. By doing so you are preparing yourself for what to come and you achieve a sense of fulfillment once done. It can be as simple as taking out the trash… keep it as challenging as you desire! Again, it doesn’t have to be something major. It’s all about the attention you put into something and committing to it. Similar to making up your bed, deep-cleaning something will be refreshing for the mind and chances are you’ll feel very content about it afterward. This can be anything from cleaning your makeup brushes to wiping off the bookshelf. Omg, yes! Yoga pants and sweater, anyone? Self-care Sunday, here I come! Turn off your phone and all other electronics for an X amount of time. Be in the now and enjoy taking everything in as it is, not through of the 10000 filters. Choose an amount of time that works for you. An hour, the whole morning, the whole day or weekend. If you turn it off for a long time period just make sure people close to you (parents, partners, best friends) know, so they don’t get worried. We wrote a full blast article about digital detox, you can check it out here. The internet is packed with how to’s and tutorials on all kinds of subjects (YouTube and Pinterest are good places to start). Why not take some time to learn something new? To expand your skills and to surprise yourself! Knit your first scarf, learn how to count to ten in Chinese or spruce up your photography skills. It’s all possible! Full body exercise with not too much impact on bones or joints. Because you’re in the water you tend to be less sweaty than with other sports. Swimming furthermore stimulates better sleep and boosts your mood! Whatever makes you smile, it being tea leaves, the scent of freshly ground coffee beans or funky green matcha powder. Enjoy it fully, have all your senses enjoy the moment! Did you know that by replacing just a couple of objects in a space the energy in your house can get a totally new flow? Also, sometimes certain things have been so long in one place we just don’t ‘see’ it anymore. Change recharges it, you notice it more and ignite your appreciation towards it. Do something that makes you laugh. Instead of texting, instant messaging or emailing. Just (video) call or even better, meet up in person. It gives you the chance to share issues and emotions more explicitly. The connection so much more personal instead of virtual. Also, socializing enhances mental functioning, as the mind is kept occupied with real thoughts. Get some flowers or a new plant. An instant happy maker. It will need some care and attention, that’s a great project. And in return, they will cheer up any room and make you smile within an instant. A great way to inform yourself on new ideas, to broaden your perspective and learn something new! It’s very much like traveling without the travel; you get to know about things you normally wouldn’t experience. And share it with your family, friends or colleagues. The smile on their face will make you smile too. Bonus: the whole house will smell terrific! Allow yourself to relax and enjoy. Play a game by yourself (like a word search puzzle) or make it a social and play with friends! It benefits your memory, sharpens your decision making, it’s good for your cognitive health and it’s fun! So why not? To donate is both beneficial to you (as a form of minimalizing and decluttering) as it is to the recipient. It’s a great form of giving and totally practical too. Huh, wait, what? No thank you! Yes, please! Boredom makes people keen to engage in activities that they find more meaningful than those at hand are the wise words by Wijnand van Tilburg (Southhampton University). Boredom spikes your creative thinking and ignites your imagination. So allow yourself some spacing out, it’s all alright. The point we’re trying to make, don’t punish yourself for feeling bored… embrace it and make the most out of it! 31 BLASTING Self-Love Affirmations. A loving list of positive affirmations. 8 Badass Benefits Of Waking Up Early! Do a Happiness Challenge! 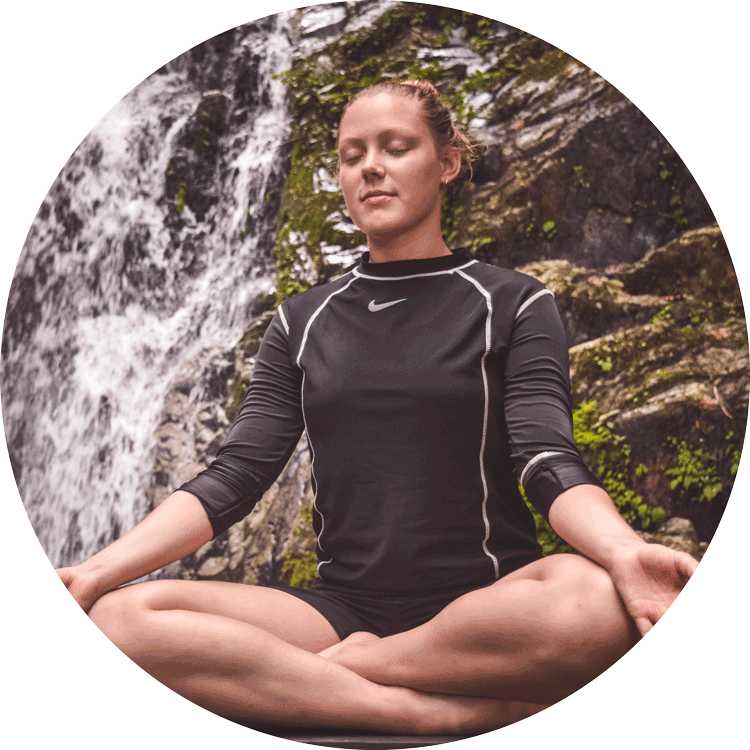 A list of 4 Blissful and Energizing Challenges!